The Best Time of Day to Go Running? Many people are willing to start running to lose weight, improve their fitness and disposition. Among the most frequent questions from beginners in running is, when is the best time to go running? Next, we summarize the advantages and disadvantages to practicing physical activity during the day and during the night. Generally, running in the morning means doing physical exercises on an empty stomach or eating something fast to then go running on. On the one hand, it allows us to accelerate the metabolism and burn fat stores stored in the body. 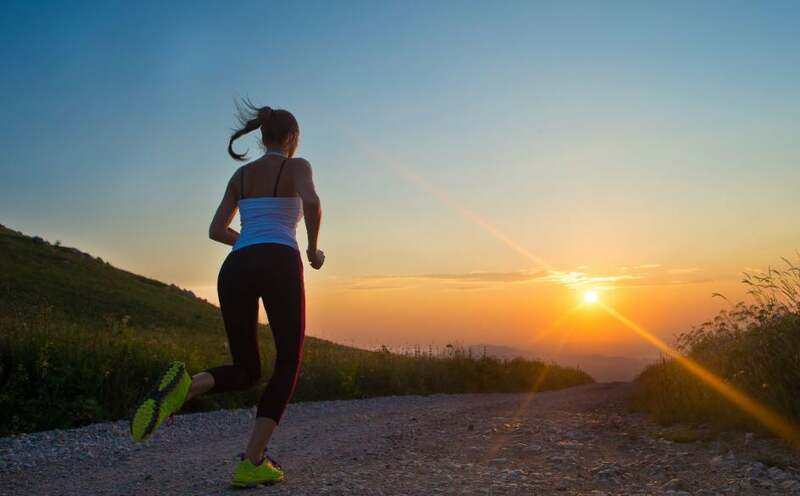 In addition, the psychological impact of morning running is usually very positive. By activating your metabolism during the first hours of the morning, you can improve your disposition for your workday. It will also be easier for you to organize your ideas and plan your daily tasks. However, we must mention that doctors warn about the possible exaggerated risks from morning exercises. 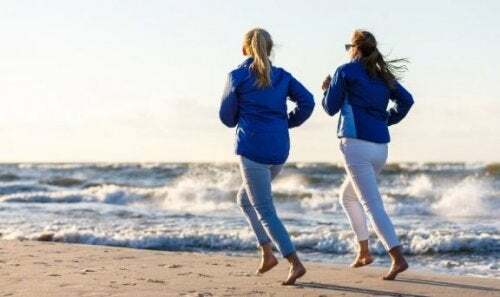 Physical activity and fasting should be performed moderately, between 20 and 30 minutes. Exaggerating in fasting exercises is counterproductive to energy expenditure, and favors hypoglycemia. On the other hand, exercising after eating, favors the formation of flatulence and interferes with the digestion process. Also, you may feel a heavy feeling and you may feel the urge to vomit when running. Many running fans say that the best time to go jogging is during the night. And the results of numerous scientific studies show that the runner’s performance improves when you exercise at night. As your metabolism is already more active, it allows to intensify the energy expenditure and optimize your running time. In addition, the body is already used to the ambient temperature, which reduces the likelihood of thermal shock and injury. This also facilitates warming up, requiring a shorter preparation time. We must also mention the psychological benefits of running at night. On the one hand, night running helps to relieve the stress of a long day at work, and even stress levels. On the other hand, it helps to avoid feeling tired and sedentary. And the disadvantages of night running? As usually happens with almost everything in life, running at night also has its disadvantages. Many people may show some difficulty in reconciling physical activity at night, with a good night’s sleep. We must consider that, by intensely activating our metabolism at night, we will delay some hours to calm down and feel sleepy. For these reasons, it is advisable to leave two to three hours between running and the time that you go to bed. In addition, you must use reflective garments for running at night and carry an extra light source if you choose to run in a high traffic area. In general, few people think of climate as a determining factor for a good day of running. However, the ambient temperature can interfere when running. During winter, temperatures are very low during the first hours of the morning. Waking up early, getting out of bed, getting dressed and going for a run requires an extra dose of stubbornness. In general, it is more comfortable to run during the afternoon or in the later hours of the morning. To run in the cold, you have to warm up the body intensely to prepare it for cardiovascular and muscular effort. You will also need to have more appropriate clothes to face the low temperatures. And the ideal is to avoid running on an empty stomach. Already in summer, the situation reverses: as the morning progresses, temperatures rise considerably. Therefore, running is usually more pleasant at night or in the early morning hours. Warming up may be simpler, but remember to apply sunscreen before going for a run. In summary, there is no ideal time to exercise. The best time to go for a run depends on the metabolism, lifestyle and preferences of each person. The important thing is to encourage a healthy routine, which necessarily includes the regular practice of physical exercise. Before you start running, it is essential to consult your doctor and perform studies to verify physical fitness. Also, keep in mind that a balanced diet is essential to keep fit and maintain your good health.